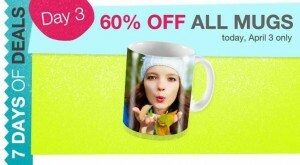 60% Off Personalized Mugs at Walgreens Today 4/3 | A Savings WOW! Today only, get your personalized mugs from Walgreens for 60% off! These make great gifts. Get the coupon code on Walgreen’s website and then enter it at checkout to get your discount.